Organic wool mattresses are best in class and will revolutionize the way you sleep. When searching for a mattress, make sure you’re able to confirm the source of your wool. Look for mattresses that are infused with a layer of crimpled GOTS (Global Organic Textile Standards) certified wool, preferably from an agriculturally rich country such as New Zealand. Wool holds its crimp and loft longer than synthetic materials giving you added comfort. Organic wool is extremely breathable. This helps in wicking away moisture to keep your mattress dry, and limits the conditions needed for mold to grow. Wool naturally controls humidity far better than other synthetic materials. Due to its unique composition of small and large molecules, organic wool mattresses are able to defuse odors much faster than other fibers. Although organic wool is humanely sustainable, environmentally friendly, and incredibly soft to sleep on, it’s not all created equal. When making your final decision, be sure to receive confirmation that the wool used in your mattress is naturally flame retardant. Some leading companies use mixed-grade wool, which requires synthetic chemicals such as formaldehyde to pass strict CPSC mattress standards. GOTS organic wool mattresses provide world-class (natural) fire protection, giving customers peace of mind each and every night. GOTS organic wool serves as a natural flame retardant since it contains high keratin protein and moisture in every fiber. This allows GOTS wool to pass the strict CPSC mattress standards without the use of harsh chemicals. GOTS organic wool is considered to be the “luxurious” alternative to the inexpensive and controversial chemical fire-sock that the majority of mattress manufacturers use today. Traditional fire-socks also carry a multitude of allergies, skin irritants, and harsh odor of which organic GOTS wool combats. For those with sensitive skin or select allergies, sleeping on low-quality mattresses can be a real problem. Synthetic materials trap moisture and lack the ability to breathe. Over time, this can become a breeding ground for bacteria and dust mites. Dust mites thrive on dead skin cells and absorb moisture from synthetic mattresses, allowing them to grow and multiply. Dust mite feces and shed skin are often serious allergens for many people. 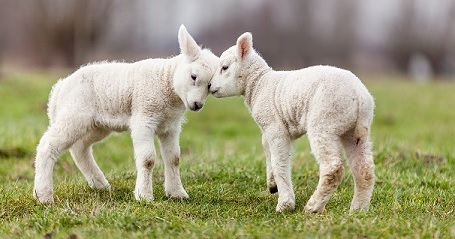 If you think that you are allergic to wool, odds are you might be allergic to “Lanolin,” which is an oil found in traditional non-organic wool. GOTS organic wool removes this oil and removes any itchy properties along with it, so it’s pure luxury that’s safe for everyone. Organic wool is inherently hypoallergenic and antimicrobial, alleviating irritants and optimizing your immune response during the course of each night. Switching to an organic wool mattress will allow proper breathability through-out the night. This will severely limit the moisture retention needed for bacteria and dust mites to thrive. If you are someone that has trouble sleeping at night because of temperature changes, organic wool mattresses are perfect for you. Because organic wool is naturally breathable, (wicking moisture away as you sleep), it acts as an ideal thermo-regulator by cushioning you with a pocket of air. This pocket of air helps to naturally regulate your body temperature by insulating you if the temperature drops, or cooling you if the temperature rises. These properties of wool are why sheep can live in some of the most extreme conditions on earth. 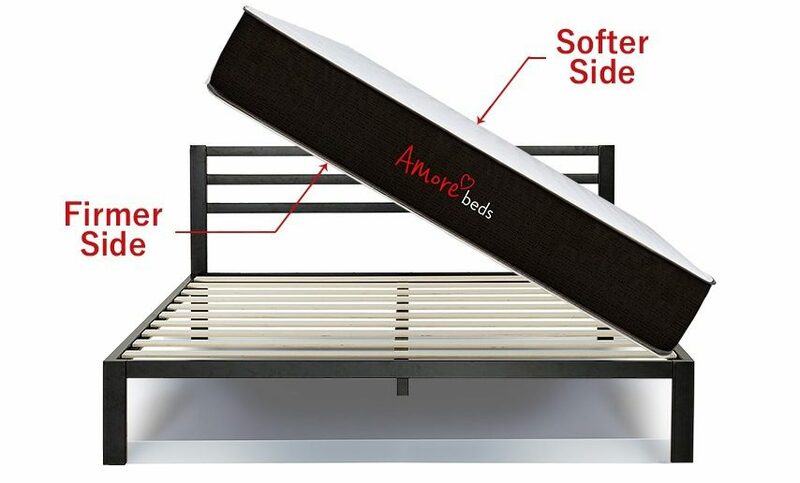 Nobody wants to struggle with sleep issues and Amore Beds, has done everything possible to design and develop a mattress that allows people to sleep their best, every night. Their GOTS organic wool mattresses are best in class and manufactured to a standard of excellence. Using GOTS certified wool from New Zealand, their mattresses aren’t suffocated by harsh chemicals. Their organic wool naturally resists mold and mildew, breathes easy for those with allergies, and is an incredible thermo-regulator, giving you a peace-of-mind, and a consistent cool night’s sleep – every night. 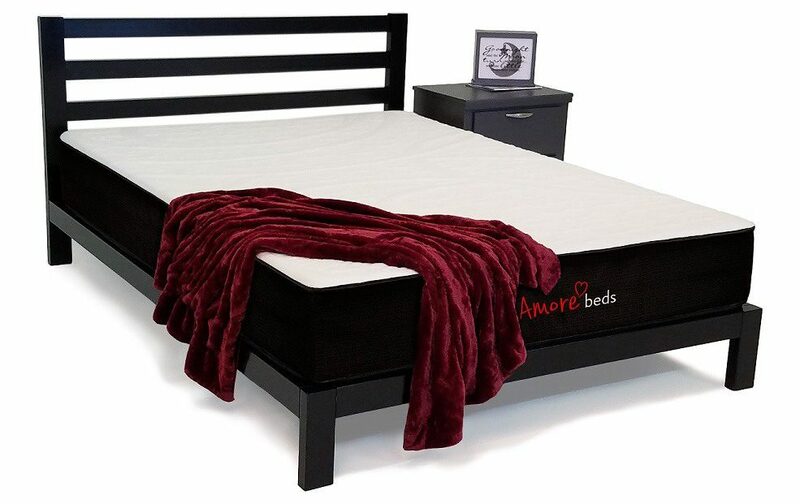 For more information on AmoreBeds organic wool mattresses, check out their Shop or Design pages. Great blog- thanks very much for this info. I’ve just purchased one of your mattresses (medium) and am loving it so far! I’m getting a far better nights sleep and my wife loves it as well. I guess that’s why they say sheep never shiver in the winter and never sweat in the summer which is why they can thrive in some of the most extreme temperatures. I have never tried sleeping on wool mattress before. I guess I know now what mattress to purchase next time. Great article! This was quite revealing,I never knew wool mattresses are really the best. 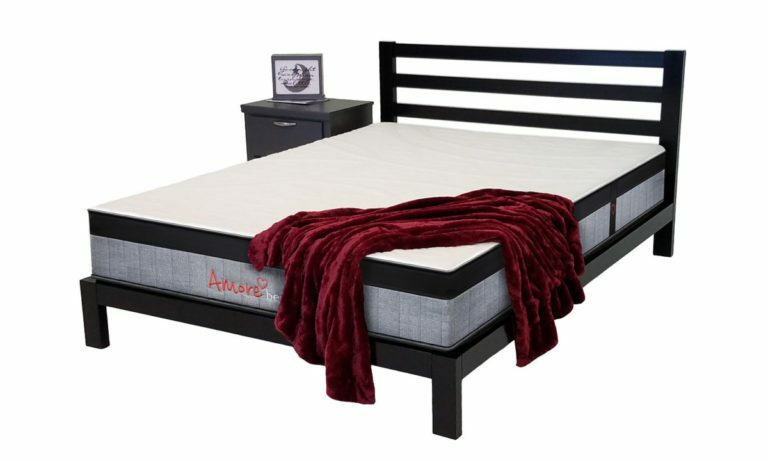 The features of it being breathable and can easily absorb moisture to keep the bed dry is really commendable especially in winter.I hate molds,great that it can keep mold growing away. Wool promotes thermo regulations, this is really a good one about wool mattresses.it gives one pocket of air thereby cushioning heat and also helps to regulate the body temperature. This is really a good one. never tried it. amazing article. very informative. I use a synthetic mattress because that is what I prefer. But since you have extolled the virtues of wool, maybe I will try a wool mattress whenever I need to buy another one. We just need better sleep quality. An informative article this is. Never knew that there are various kinds of wool and some can trigger allergy! Nevertheless, it’s a good idea to constitute organic wool into mattresses. Also, the benefits of using that kind of wool is amazing, never knew the extent of their quality and usability! I’ve been uncomfortable sleeping for a while now, and I point the blame at my bed’s floor-like hardness. I’ll definitely check out wool mattresses, it’s time for my body to feel real comfort for once. Wool is the best raw material for mattresses. They just feel comfortable and the quality is great. It sounds like it’s worth it to spend a few more bucks on the chemical free mattresses. 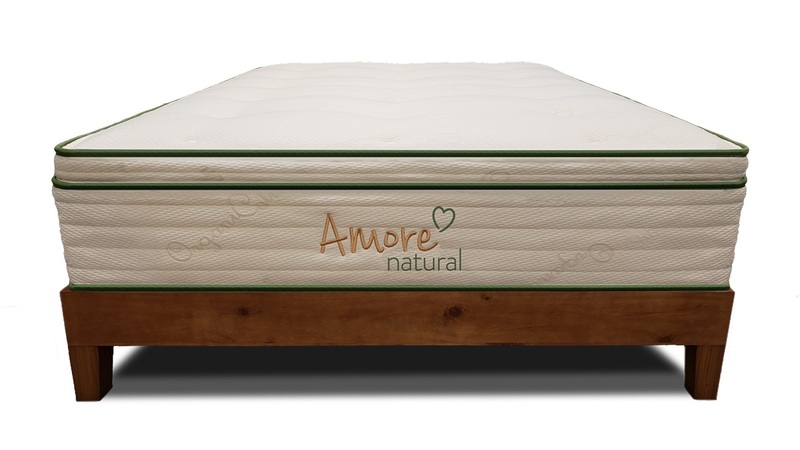 I like that the Amore beds can regulate your body temperature and rid you of moisture and bacteria. Thanks for sharing! I love these kinds of beds. I may not know about the materials but if I can get a good night sleep. I will be fine. I didn’t know mattress could be this sophisticated. It matches to all our sleeping needs!